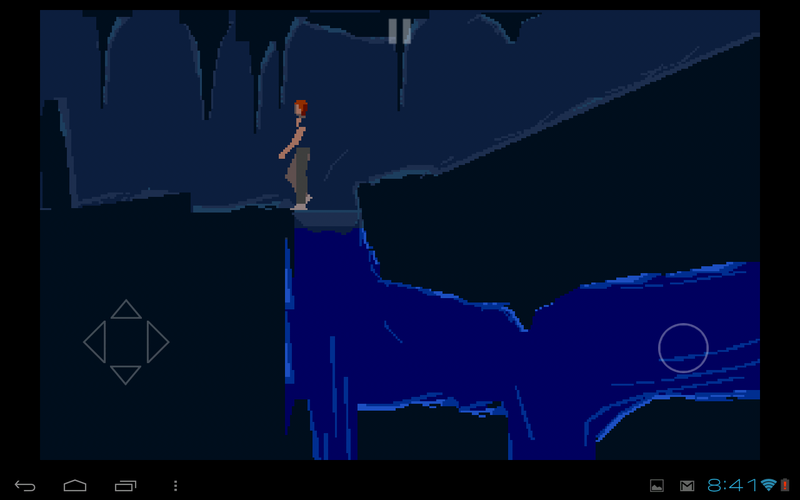 Some of you out there may remember Another World, a cult classic video game that's seen life on a number of platforms since its 1991 debut. 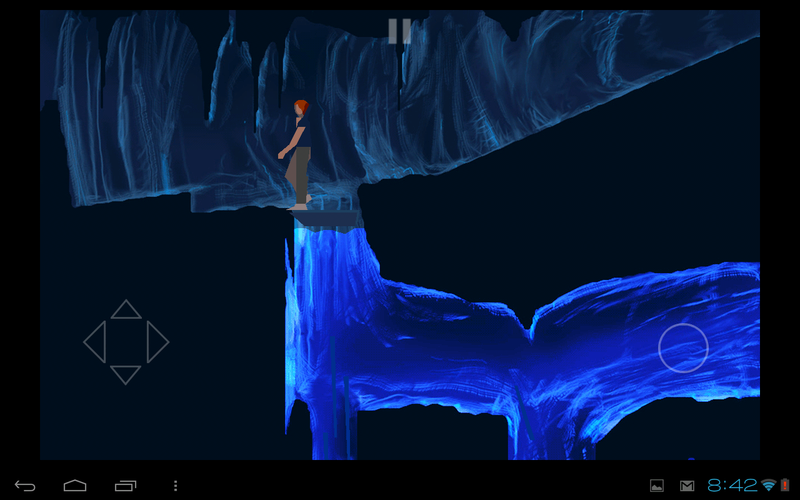 Well, the minds at DotEmu have brought Another World back again, this time to Android, and with HD graphics. For those who aren't familiar with Another World, the game follows the story of Lester Knight Chaykin, a physicist who finds himself on a strange alien planet after a bolt of lightning hits his lab during a particle collision. Lester is soon enslaved by an alien race, and must escape with the help of another imprisoned alien. After playing through the game for several days, I can say with confidence that it's not your average platformer. 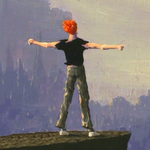 Another World is ridiculously challenging, yet still extremely fun, two characteristics that are even more impressive when you consider that the game is over 20 years old. 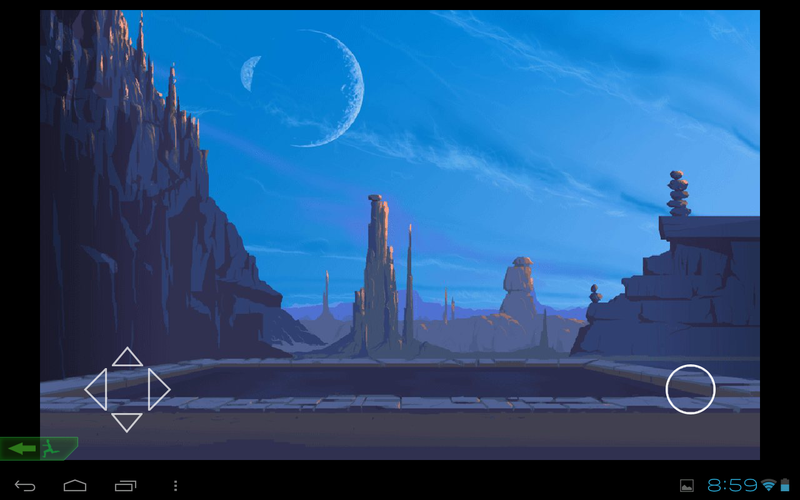 Besides being a great game, though, Another World has great atmosphere. Its billing as a "cinematic" platformer is completely accurate – its environments (both in their new HD skin, and classic graphics) are stark, mysterious, and a bit haunting. Interestingly, DotEmu included the ability to switch between HD and classic graphics in this iteration, requiring only a simple two-finger swipe gesture. 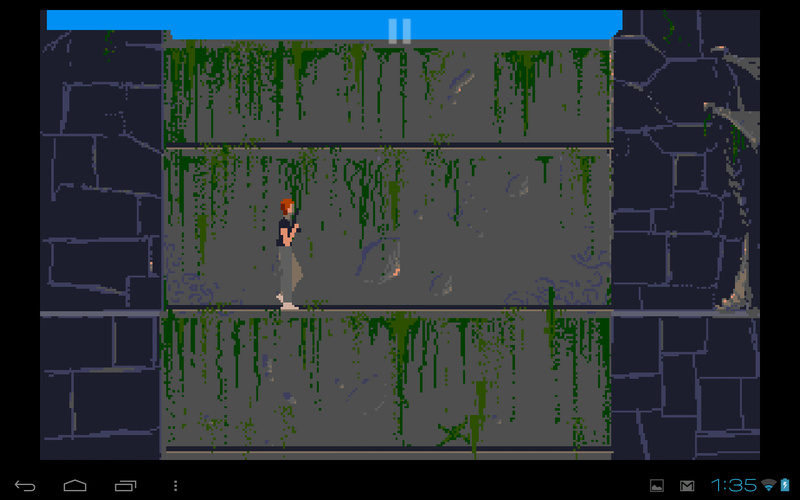 While playing through Another World, I could tell that extreme care was taken to stay true to the original graphics while providing players with something a little less jagged to look at. When comparing many of the environments to their classic counterparts, I was struck by DotEmu's interpretation of stairs shrouded in shadow, mysterious light sources, and deadly carnivorous monsters that have integrated themselves into the walls below the alien compound. It's exceedingly clear that DotEmu, when creating HD graphics for Another World, paid attention not only to detail, but also to the original intent of each visual aspect, which kept alive much of the spooky ambience from the original game. 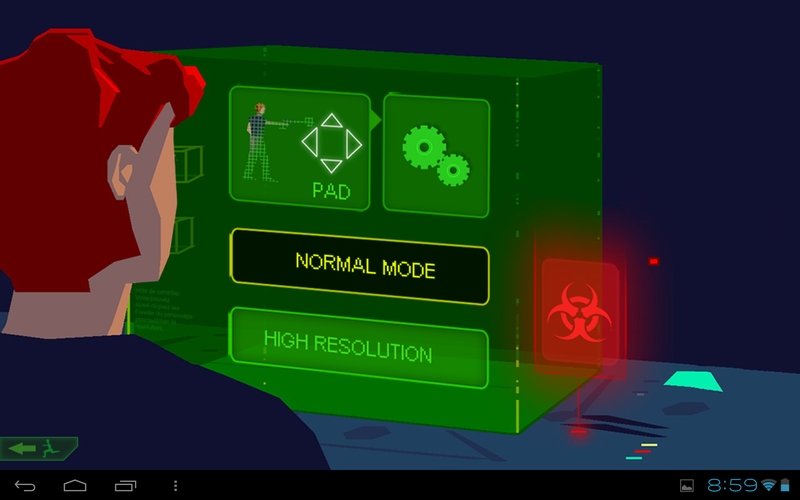 It is this ambience - coupled with plenty of startling moments - that allows Another World to provide a truly unique gameplay experience on Android. 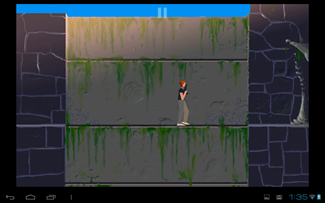 The real story with Another World's 2012 Android revival however, is not its gameplay, graphics, or atmosphere. Thankfully, those have remained almost exactly the same. What's important in this iteration is the touch-based control scheme. 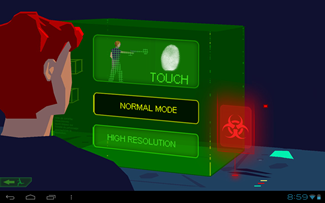 The game actually has two separate control options – one based entirely on touch gestures, and one with a traditional d-pad and action button. It's worth noting that the game is also Xperia Play optimized, and supports Zeemote joysticks, but for the purposes of this review, we'll stick with the touch controls. 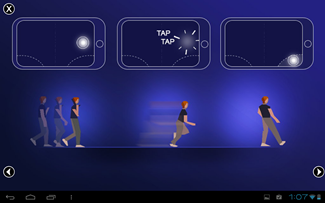 Another World's gesture controls are an interesting idea, getting rid of buttons in favor of predetermined swipe movements and taps. 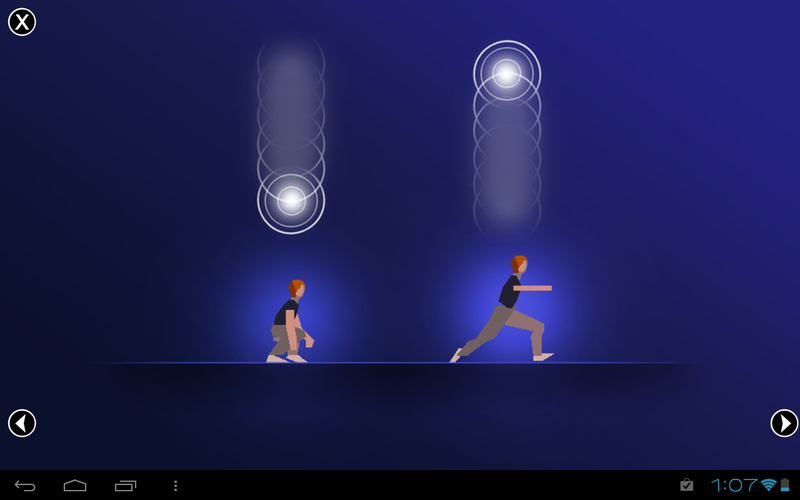 The simplicity of the original game's control scheme seems to be well-suited for touch controls, as there are only a few commands: walk, run, jump, duck, and shoot. For the most part, the touch control scheme works just fine. I will say, though, that players using smaller devices (read not a tablet) may need to be a bit more precise. 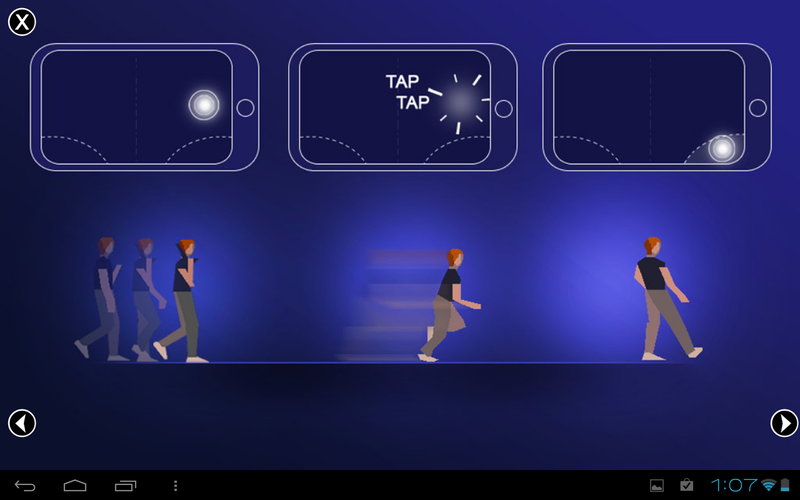 Additionally, the jump control (a simple one-finger upward swipe on the appropriate side of the screen) seems fairly finicky, and won't trigger properly if your swipe is less than perfectly straight up. That being said, I was able to get Lester to jump at the right moment about 8 times out of 10, and quickly adapted to the game's demands. 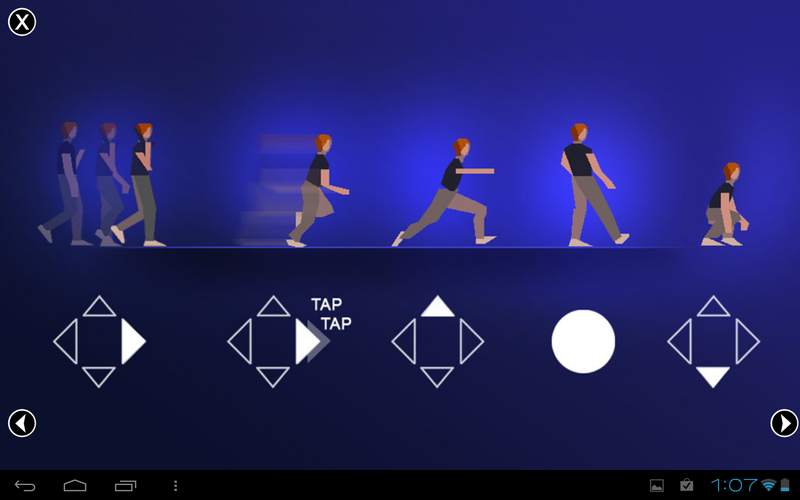 The game's "pad" controls are a bit more straightforward, and a lot more flexible. Players can customize the positions of both the action button and d-pad to suit their own hands, and having buttons on-screen can be helpful when outrunning a deluge of water or negotiating risky jumps over carnivorous floor monsters. Overall, both control schemes are great, and each provide a slightly different experience when playing through the game. I found myself most often using the touch-based scheme, however, simply because I didn't like the d-pad and action button cluttering the screen or distracting from any piece of the environment I should be paying attention to. 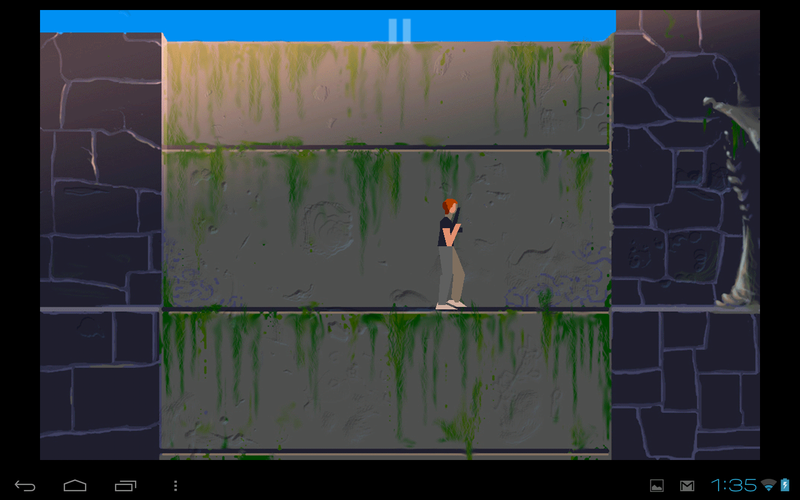 If you can't tell yet, my opinion of Another World for Android is extremely high. The game is intensely challenging (even when played in "normal" mode, the lowest of three difficulty settings), has puzzles that will keep you guessing, graphics that are just right in capturing the feeling of the original, and an atmosphere and gameplay experience that you'll never forget. 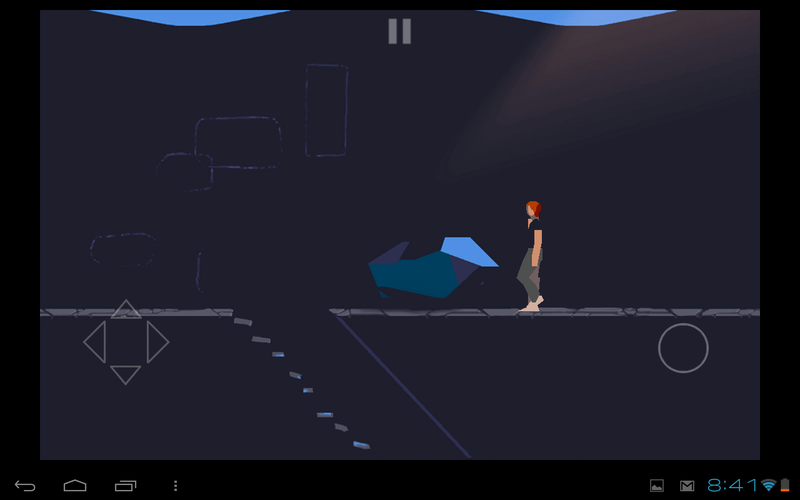 Another World carries a price tag of $4.99 in the Play Store, which is certainly reasonable for a game of this caliber. 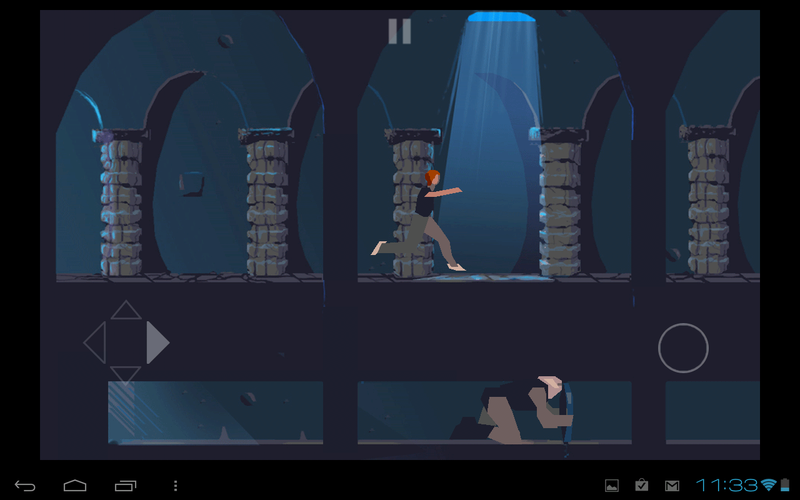 Whether you're a fan of the original, or an Android user looking for a game with puzzles, platforming, and a fair bit of action thrown in, there's no doubt Another World is worth a shot. Just hit the widget below and grab the download.